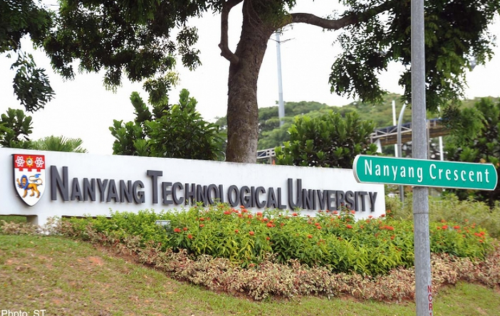 NANYANG Technological University (NTU) - recently named the fastest-rising young university in the world - is looking to set up satellite campuses in international research hubs to build a global mindset among its students. Plans are under way to launch its first base in London by the end of this year, to boost its research and teaching collaborations with British universities. Other cities being considered for the line-up over the next two to three years include San Francisco, Chicago, Stockholm and Shanghai. NTU already partners Imperial College London in a joint medical school and the premier Renaissance Engineering Programme (REP). The university's other British partners include Cambridge, in semiconductor and energy research, and the University of Southampton, in photonics. Its American partners include Northwestern University in Illinois and Berkeley in California, while its European partners include Linkoping University and Karolinska Institute in Sweden. NTU president Bertil Andersson said these hubs would give students more opportunities to garner experience abroad through, for instance, study, research, internships or community projects. They would also facilitate collaborative projects by NTU professors, PhD students and researchers with overseas counterparts. Last year, 5,500 NTU undergraduates gained experience overseas. They included REP students who spent their third year either at Imperial or the University of California (UC) at Berkeley, journalism students on overseas practicum and students working on humanitarian projects. Professor Andersson said: "In a global marketplace, it's not good enough to prepare our students for jobs in Singapore. "Increasingly, companies are looking for graduates who they can send out of Singapore into the region or further away in uncharted territories to grow their businesses." NTU provost Freddy Boey said that to thrive in such an environment, graduates would need a "global mindset", which includes flexibility and openness to other cultures, the ability to navigate cross-cultural issues, and understanding of the nuances of operating in a different environment. "These are things that you cannot teach in a classroom," he said, noting that he often sees students transformed by their experiences abroad. "They can be nurtured only through experiential learning. World-class research has to be interdisciplinary in nature and, because universities have different strengths, it makes sense to collaborate." Citing the NTU-Northwestern Institute for Nanomedicine, he said the two universities are bringing together their respective strengths in 3D printing and nanomolecular research to come up with a molecular 3D printer that can produce designer molecules and microscopic materials for use in healthcare. Ms Ng Ang Hui, 22, a final-year chemical engineering student, spent nine months at UC Berkeley, before doing an internship at pharmaceutical company Baxter in the United States. Her supervisors there were so impressed with her work that they recommended her for a second internship, this time with Baxter Singapore. Ms Ng said: "I got to experience first-hand the workings of a global pharmaceutical company but, more importantly, how to thrive in a different and culturally diverse environment. "These are things that one cannot learn in the classroom, only by being thrown into an unfamiliar foreign environment." The London-based Times Higher Education magazine declared last month that NTU is the world's fastest-rising university under 50 years of age, having jumped more than 108 places in its ranking in four years.